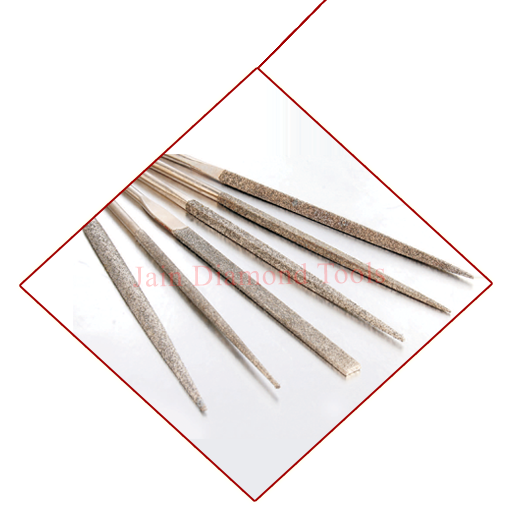 'JDT' Diamond Needle Files are extremely sharp to give faster and more economical stock removal on hardened and non hardened steel, on carbides, ceramics, moulds, dieplates, punches, glass, quartz, carbon fibers, graphite, hard and precision stones. These are manufactured in a control and unique plating technology with mechanical support and are reliable tools for everyday use. Diamond Needle Files are available in different shapes & Grit Sizes.